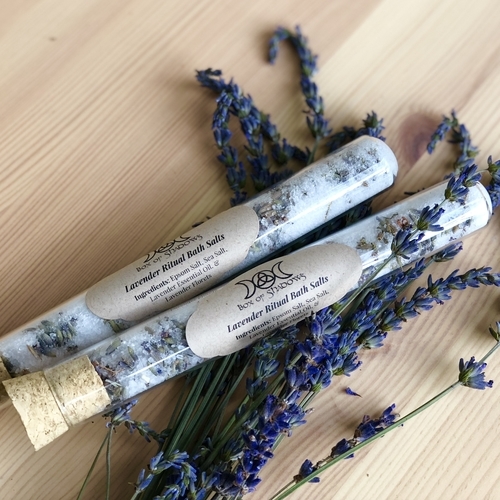 Handmade with care and intent by our resident Hedgewitch, these lavender infused, signature bath salts will prepare you for embarking on a serene dream journey. Ingredients: Lavender, Sea Salt, Epsom Salt, & Lavender Essential Oil. Two tubes. Approx. 1oz. ea.